The Greatest Victim of the Paradox of Excellence: God. Your current customers are your best path to fast sound business growth. By learning how to overcome the effects of the Paradox of Excellence you can energize your customer base to become the best source of new business you can find. No business wins alone! Each business always creates value in relationship with other businesses – including its immediate customers. Securing the most gain from those relationships requires more communication than ever before. You will hear why and how Web 2+ thinking and technologies are essential to Winning Together. And, you will see models of how your business can begin Winning Together. Shrinking product life cycles create mature (stagnant) markets faster than ever before! Re-vitalizing markets is something nearly every business is trying to achieve today. 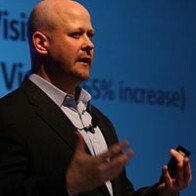 You will hear how and why Web 2+ thinking and technologies can be used to achieve growth even in mature markets. And, you will see models of how your business can begin winning in Mature Markets. Jump the curve! Practical innovation occurs in jumps where innovators anticipate what customers want before the customers express what they want. You will hear where Web 2+ thinking and technologies can be used to foster innovation, create a jump, with virtually any type of product or service. And, you will see models of how your business can begin winning with Practical Innovation. With the advent of Web 2+ yet another new family of buzzwords that describe new technical, social and business thinking, processes and actions has emerged. You will hear what these new buzzwords mean from an historical perspective to help you build a bridge of understanding. With that new understanding you can begin to design where to engage or deploy these powerful new facts of life with the millennial generation coming to work with you now. Totally perfect yet substantially taken for granted. We are surrounded by His creation, but when something doesn’t go our way?! We get really upset. Both ordained and lay leaders hear how to help their organization, and its members strengthen their relationship with God by reinforcing the value that He delivers to us every day. Dave Mosby’s Main Accomplishments Include . 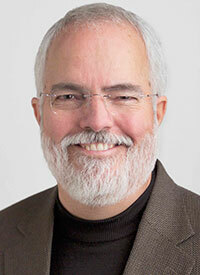 . .
Dave Mosby has thirty-five years of achievement in high technology with nearly twenty years in CEO positions. 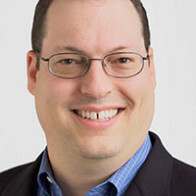 Throughout his career, he has successfully lead teams that bring new technologies and business operations to new markets. 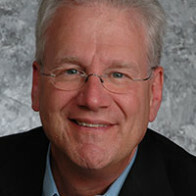 As founder, CEO and chief solution architect for InterWorks Software, a development firm that creates specialized customer solutions using contemporary technologies, Dave Mosby’s teams have delivered innovative solutions for many Global 2000 companies including DHL, Kaiser Permanente, and Link Logistics/Starbucks. 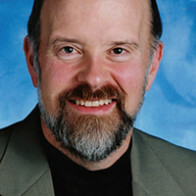 Dave Mosby founded InterWorks to “help people work with technology”. Working with innovative leaders in large and small companies he has facilitated unique business process and technology solutions in a broad range of industries and application areas. Dave Mosby is co-author of the highly acclaimed book, The Paradox of Excellence: How Great Performance Can Kill Your Business which has appeared in Fast Company, Entrepreneur Magazine, Harvard Business Review, Chicago Tribune, Dallas Morning News and Canada’s Globe and Mail. High-performance companies often unwittingly create unrealistic customer expectations that become impossible to meet. 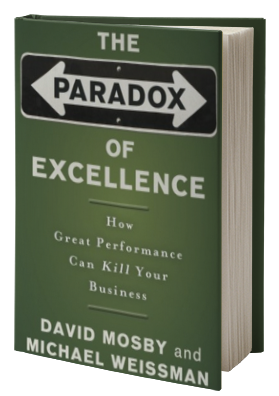 In this important book, Dave Mosby uses a realistic story that illustrates the paradox of excellence: the better you perform, the more invisible you become to everything but bad news. The Paradox of Excellence shows the symptoms and causes, and provides clear guidance for overcoming this perplexing dilemma with ideas that can be readily implemented, and a practical framework for achieving long-term success. Previously, Dave Mosby was President and CEO of Softguard Systems, where he increased market capitalization 2,500 percent in three years. Prior to that, he was president of The Systems Support Group and has also led teams at SAGE Software, Boole & Babbage, and University Computing Company. Dave Mosby started his technology career at the NSA and Strategic Air Command. More on Dave Mosby. . . Funny. Enlightening. Motivational. Thought-provoking. Informative. These are the words audience members consistently say when describing talks by Dave Mosby. Major corporations, professional and trade organizations, small businesses and church organizations all find Dave Mosby a joy to hear speak. He combines a folksy style with a brilliant intellect to deliver talks the audiences find relevant, insightful and entertaining.